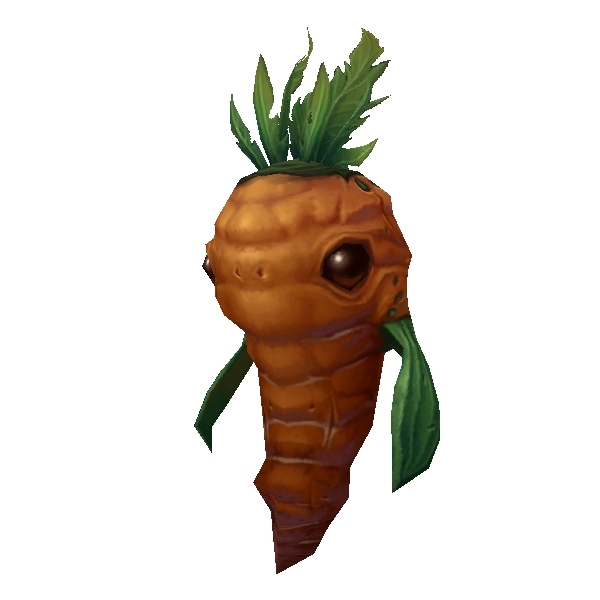 The WoD Alpha has revealed a handful of new pets, and some may look familiar while others sport entirely new models in varying colors. 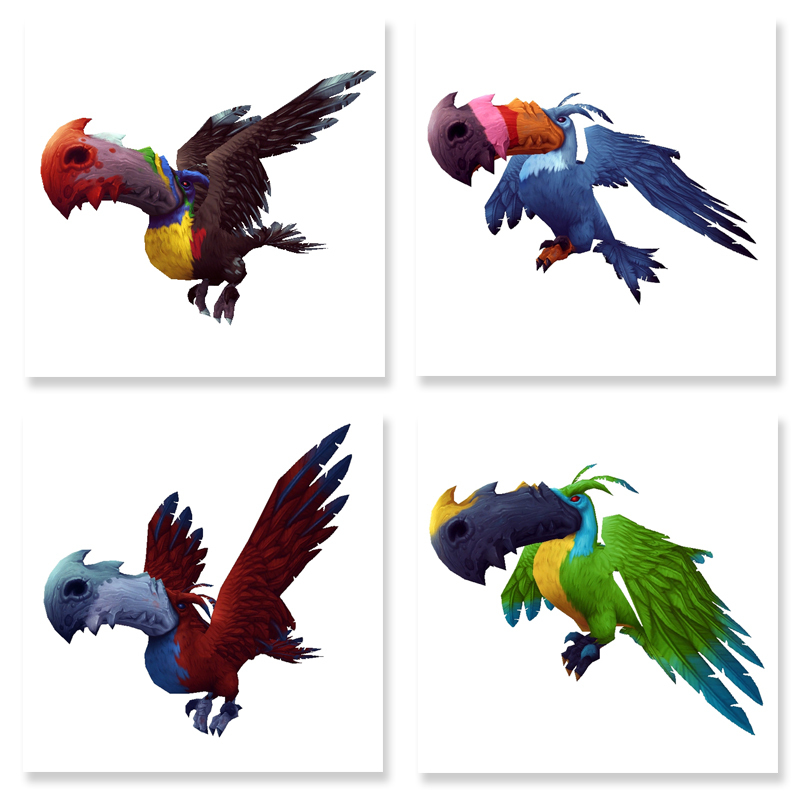 Here's a preview of some possible pets coming in the expansion. Apparently the Terrible Turnip has a not-so-terrible cousin — Carrotus Maximus (pictured left). 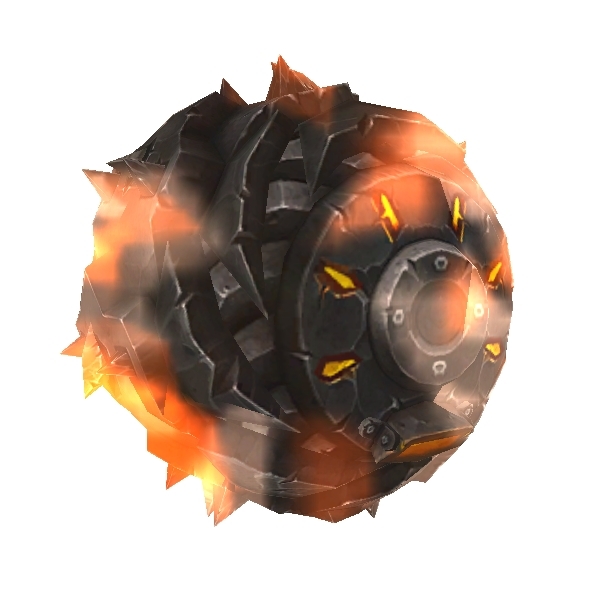 And thanks to some tinkering from "engineers" the Iron Star (pictured right) from the final battle in the Siege of Orgimmar raid is now miniaturized and less deadly (but watch out for your toes). Senior Game Designer Jonathan LeCraft Tweeted a brief preview of possible pets to come in the expansion, and one of the pets mentioned was a baby hippo. Why stop at just one hippo? We've discovered five different colors for this hefty herbivore, but it's still unknown if we'll be able to collect them all. Other models that we've come across include toucans (pictured above) and a creature known as a Podling (pictured below). 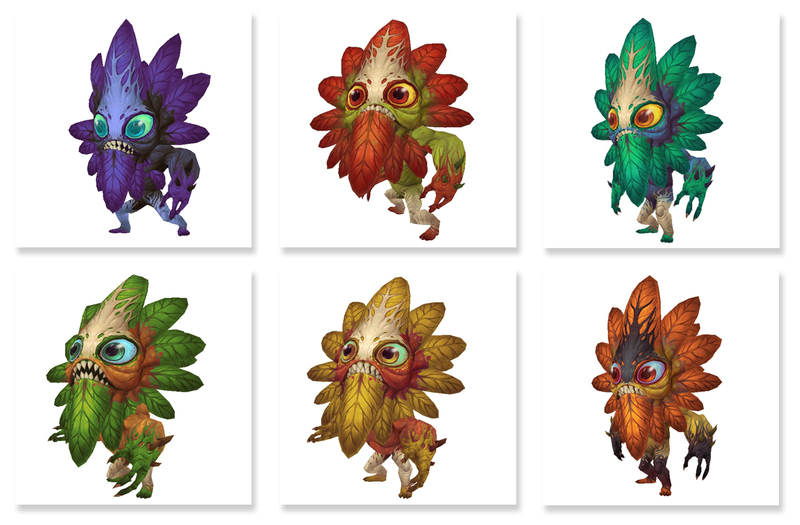 According to Jeremy Feasel (Senior Game Designer) the Podling isn't very friendly, so perhaps it's better to let these fierce flowers roam out in the wild rather than attempting to tame them. It's unconfirmed if these will be creatures in the world or pets that we can collect. They look pretty awesome so we're hoping for the latter!